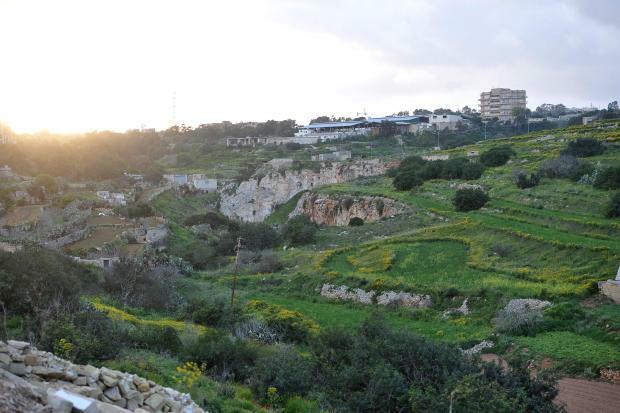 Residents and environmental groups gathered next to the site of a controversial proposal for a retirement home in Wied Għomor, in a final appeal to spare the area’s “last green lung” from development. Plans for a 133-home residence and other facilities in a disused quarry in the valley were unanimously rejected by the Planning Authority board in May 2016. An appeal by the developer against the rejection will be decided by the Planning Review Tribunal on Thursday. 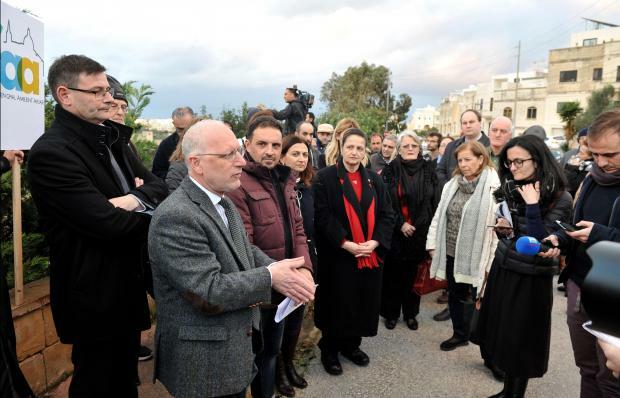 Some 50 residents were this evening joined by representatives of the Swieqi, San Ġwann and St Julian’s local councils, as well as Din L-Art Ħelwa, Front Ħarsien ODZ and Moviment Graffitti, calling on the tribunal to confirm the decision and reject the development. Swieqi mayor Noel Muscat said the proposal would continue to eat up the last patches of open space in the town and its surroundings, and destroy a peaceful residential community with new access roads. “We’ve been subjected to destructive overdevelopment for many years, and we can’t afford any more,” he said. 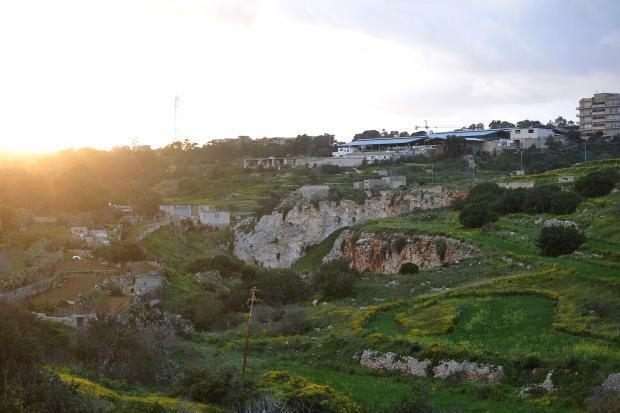 In a statement, Din L-Art Ħelwa supported locals’ pleas and called for the quarry to instead be rehabilitated as a green zone. The conservation group added that residential homes should be located within communities, and that sites in the heart of existing neighbourhoods should be identified. “A green light for this appeal will be the beginning of yet more old people’s homes in ODZ areas such as the one planned for the outskirts of the village to the Ta’ Pinu shrine. 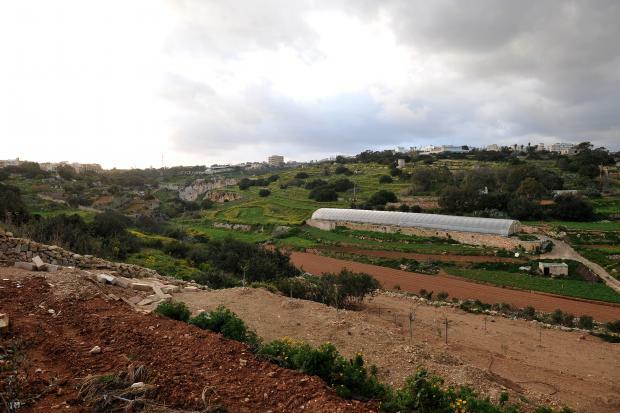 There is also news of an old people’s home planned for the valley of Buskett, and others in the pipeline,” Din L-Art Ħelwa said. “Clearly, outside development zone land is cheaper than development zone land which is why this kind of application fuels speculation where we do not need it. A more holistic approach to the entire notion of old people’s homes is clearly needed at a national level." 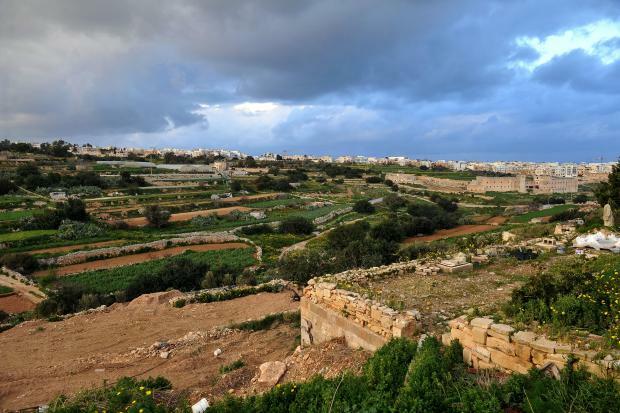 Wied Għomor, a scheduled area of ecological and scientific importance, has been subjected to an unprecedented barrage of development applications in recent years, stretching local councils to their limits in an attempt to preserve its rural character. Environment Minister José Herrera announced last April that he had personally proposed the threatened valley for protection under the Public Domain Act, which would have offered a further safeguard against commercialisation and overdevelopment.